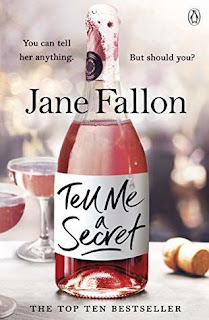 I do love a Jane Fallon novel - that really is no secret! I also love the fact that my year seems to start and end with one of her novels. I have some of her other titles waiting on my shelf and they are saved for holidays or weekends or when I need that special 'go to' author that will deliver a great, page turning read. Tell Me A Secret was no disappointment and as always, I was hooked from the beginning and raced through the chapters. Fallon has a real talent for capturing vivid and engaging characters who feel three dimensional and who are always so easy to relate to. Her ability to capture the dynamics between women and to portray friendships is so impressive, showing real insight into human nature. The keenly observed, subtle and well judged details are neatly slipped in and result in truly convincing characters, reflecting Fallon's talent, skill and just how accomplished she is as an author. Tell Me A Secret is set in the workplace and this was refreshing - there aren't too many books set within the office and yet so many of us spend our lives in one. Fallon effortlessly captures the atmosphere of competition, office politics and friendships which have no life beyond the office walls, setting her novel in a space rich in opportunity as she explores the universal themes she loves to write about. I thoroughly enjoyed the duplicity, double crossing and dawning realisation that someone is out to sabotage your career - and the difficulty in trying to prove things without it reflecting badly on yourself. 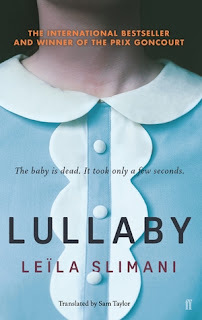 I love a book which has you chewing your hands with nerves, almost shouting out at the characters as you feel as frustrated or duped as the protagonist, and literally falling off the edge of your seat as Fallon spins her gripping and twisting tale until the dramatic finale. Universal themes of trust, friendship and deceit make this book relatable and hugely compelling. I also enjoyed the character of Dee, Holly's best friend - it was a really interesting device to have a female friend rather than a husband / boyfriend as Holly's confident. Dee's role is so entertaining, bringing not only humour for the reader, but also the much needed emotional support Holly needs. Dee basically seemed to say everything I was thinking and it felt as if I was within the pages alongside the characters, becoming more and more enthralled as the plot became more tangled and full of suspense. Great characters. Great premise. Great writing and as always with Fallon - a truly fantastic, engaging and gripping read. A fabulous plot which races along and really rewards the reader with tension, dilemmas, choices and twists which keep you guessing until the very end. Enjoy it. I can't wait for more! My thanks to the publisher for an advance copy of the novel. This is my honest review.